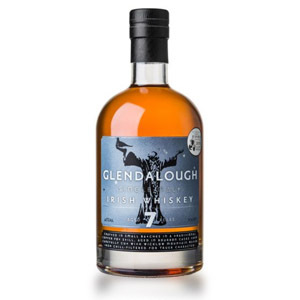 The Glendalough (which means valley with two lakes) distillery opened in 2011 with an eye to making traditional Irish spirits in a craft style. Located in County Wicklow, Ireland, the distillery makes an array of spirits including gin and traditional Irish Poitín (moonshine). They also sell a column-distilled grain whiskey (called Double Barrel) and a pair of pot-distilled single malts. 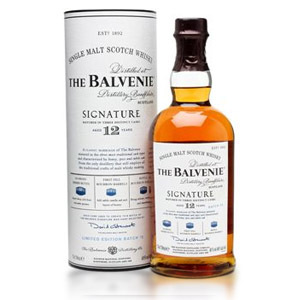 The malts are currently available at 7 and 13 years of age, with different finishes. Of course, since the distillery is relatively new, these are sourced whiskies from Cooley until the distillery’s pot-distilled whiskies reach bottling age. 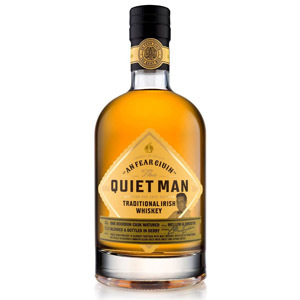 This 7 year-old single malt is aged for 6-7 years in ex-bourbon American oak and then finished in Irish porter casks from 5 Lamps Brewery in Dublin. 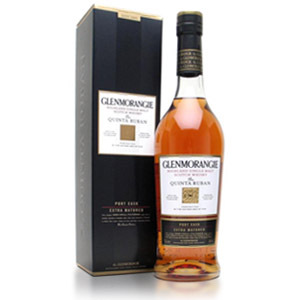 The malt is bottled at 46% ABV without chill filtration. Beer-finished whiskey is not a new idea, but it’s certainly not common. If this trend catches on, prepare yourself for wine-finished cognac, cider-finished calvados, and molasses barrel-finished rum. Look at that… I made a joke! Nose: Fruit-forward, and bright. Piercing tropical fruits (primarily kiwi) and white peach. Green tea, something floral (jasmine or honeysuckle maybe), green apple, and a very light malty sweetness. Very appealing. Palate: Medium-bodied. Huge amount of coconut up front, both dried and fresh, with an edge of milk chocolate. Black pepper, light malt, and graham cracker appear after a brief and mild tongue burn. Finish: Short. A little tannic. Walnut meats, oak, and a fading hint of brown sugar or molasses. With Water: A few drops of water sweetens up the aroma, but replaces fresh fruit notes with processed candy ones. It also adds a touch of nougat or caramel. The palate actually feels a little hotter, and there are no extra flavors. I would skip the water here, it’s not needed and it messes with a delicate balance. 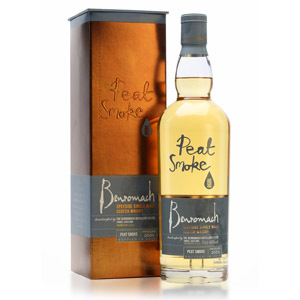 Overall: A very tasty malt, and has none of the off-flavors associated with most young malts. It has the brightness and tartness of youth, but without any paint thinner or glue notes. 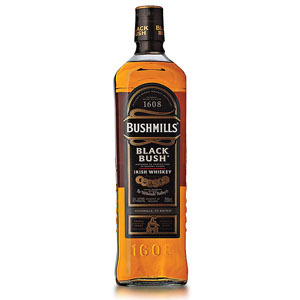 Those fruit notes remind me strongly of the better Teeling whiskies (as they should, they’re likely both from Cooley), but at a much easier price point than those due to the young age. The porter finish is definitely in the background, and downright seamless. Well done. If this was cheaper I’d call it a Must Try. For what it’s worth, after I wrote this review I ordered a full bottle online, which is a rarity for me. Acquired: (30ml sample bottle) Master of Malt.